Michele (Shelly) Hainline Berglund was born at the McDonough District Hospital but was raised in La Harpe. Shelly is the daughter of Butch Hainline (deceased) and Barb Maloney. Shelly is one of 5 children. 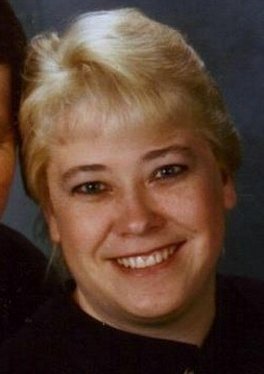 Her brother, Nick Hainline (deceased) and his wife Diana of Belleville; brother, Jerry and his wife Elaine live in LeRoy; brother, Jeff and his wife Sandy live in Jefferson, Maryland, and brother Danny who lives in Radcliff, Kentucky. Shelly's mom, Barb remarried in 1988 and now lives in Bushnell with her husband, Jim. Shelly graduated from La Harpe High School in 1989. While in high school, she worked for Linda and Roger Hughes at the Tastee Freez, and then at the Blandinsville Country Club/Golf Course. She moved to Montana in 1992 and has never looked back. When she first moved to Montana she started hauling horses all over the United States, including Alaska and Canada. She now works at Murdoch's Ranch and Home Supply Store and will be there for 5 years this coming August. Shelly is the mother of Jesica and Jamee Quigle. When she married her husband Brian Berglund on May 28, 2002, she gained a son, David. Shelly is the grandmother of 7 children. David and his wife Becky are the parents of Josie, Wyatt, Brian James and Wylee. Jamee and her fiance Cory Reum are the parents of Riley and Brayden. Jamee and Cory have plans to be married on April 27th, 2012. Jesica is the mother of Wrango. Brian is the manager at Alpine Village Laundry in Whitefish, Montana. Shelly and her family live in Kalispell, Montana. Shelly says she and her family live about 30 minutes from Glacier National Park and an hour from the Canadian border. They call the Rocky Mountains home. The family enjoys working on race cars since 3 of the kids race as well as Brian. They race on a super high bank oval track. Shelly also enjoys spending time with her family, camping, fishing, or hunting.